The ultimate stunting and storage solution! 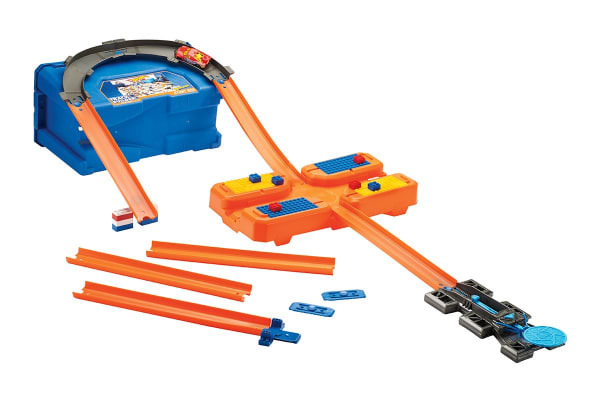 Build an EPIC world of Hot Wheels stunts with the Hot Wheels Track Builder Challenge Box. Tons of stunting components deliver opportunities for customisation, problem solving, experimentation and skill mastery! 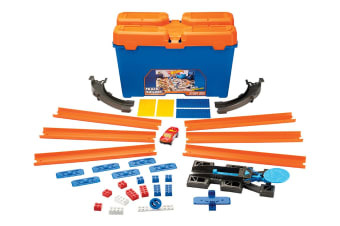 The Hot Wheels Track Builder Challenge Box has an impressive piece count with track, curves, launchers, multiple connectors and a Hot Wheels vehicle. The Stunt Box also includes 16+ bricks for endless stunt options. Multi-use pieces can be used in nearly endless combinations to unlock creativity. 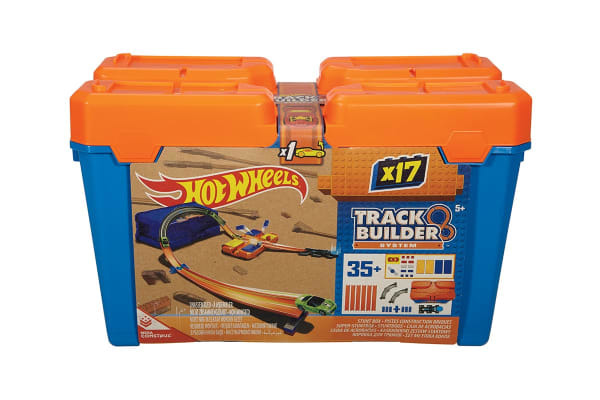 Great to store all your Hot Wheels components, but is also part of your stunt with multiple points to connect track! Enhance your builds with household items like red cups, paper tubes, books, etc.